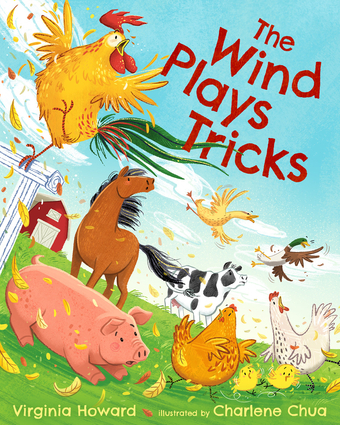 What happens when the pig goes cluck and the rooster goes cheep? An accomplished writer and editor, Virginia Howard has worked in education for many years in the Office of Publications at Louisiana State University School of Medicine. She is the author of The Bayou Bogeyman Presents: Hoodoo and Voodoo; Hurricane Boy; and Timothy Hubble and the King Cake Party. She lives in Louisiana. Charlene Chua grew up in Singapore, where she drew and read comics. Her work has appeared in American Illustration, Spectrum, and SILA's Illustration West. She lives in Canada.